It’s approaching that exciting time of year, graduation! You may have your outfit planned, but makeup inspiration can be hard to stumble upon. 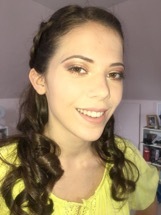 Read on for a step-by-step soft glam make-up look that’s perfect for a summer graduation. My tip for dewy skin and smooth makeup application for a big event is to apply a paper sheet mask for 10-15 minutes before you start your makeup. 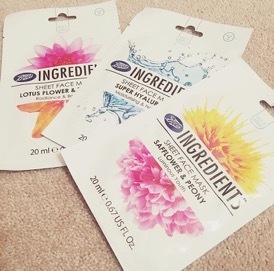 I recommend Boots Ingredients sheet masks. Start with eyeshadow, that way if you have any eyeshadow fallout you can easily wipe it away. For this look I used the Too Faced Sweet Peach Palette. Optional: apply eyeliner and fill in eyebrows at this stage if you would prefer. I recommend: Kat Von D tattoo liner and HD Brows eyebrow palette. Moving on to the face, start with a primer. Smooth a small amount over the face. 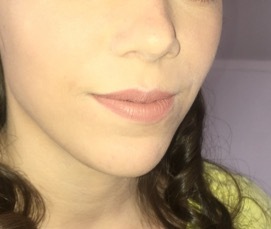 I recommend NYX’s Angel Veil Primer for a dewy glow. Apply foundation as preferred. 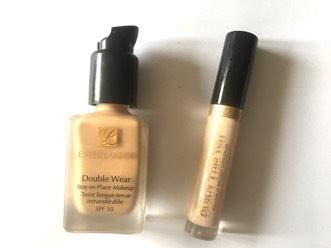 Estee Lauder’s Double Wear Foundation is a great full coverage foundation for a special event which lasts all day. Apply a concealer that is slightly lighter than your skin tone under the eyes, to the tip of the nose and any high points of your face to highlight these areas and blend well. Apply a highlighter to cheek bones and high points of your face. I used the Makeup Geek x Kathleen Lights ‘starlight’ shade. Apply mascara to lengthen lashes. I used Urban Decay Perversion. Apply pink lipstick for a chic summertime look. I used the NYX Lingerie Liquid Lipstick in ‘bedroom flirt’. To ensure a long-lasting look, set with a powder. I used the RCMA no colour powder. Spritz with a setting spray to further fix and brighten the make-up. I used NYX dewy setting spray.